AMES, Iowa — Students at Iowa State University studying agricultural communications are enjoying a stronger program, thanks in part to the continued efforts of alumni. To further support university efforts, alumni, friends and supporters are encouraged to participate in a crowdsourcing platform, now available at: https://fundisu.foundation.iastate.edu/project/2940. Through the Iowa State University Foundation, the program seeks to raise $10,000 by the end of the year. Interested alumni wishing to make their tax-deductible donations may do so directly on the site and share progress using social media. Funds raised will contribute to scholarships, internships, professional development and student club activities. The number of students pursuing the agricultural communications option in the agricultural and life sciences education major has more than doubled in the past four years, from about 40 students to today’s 90. Agricultural and life sciences education is one of more than two dozen majors in the College of Agriculture and Life Sciences. Students taking the agricultural communications option have seen an increase in faculty, courses offered and partnership opportunities with ISU’s Greenlee School of Journalism and Communication. The student club, Agricultural Communicators of Tomorrow, also has 50 regular attendees and has sent members to national conferences. 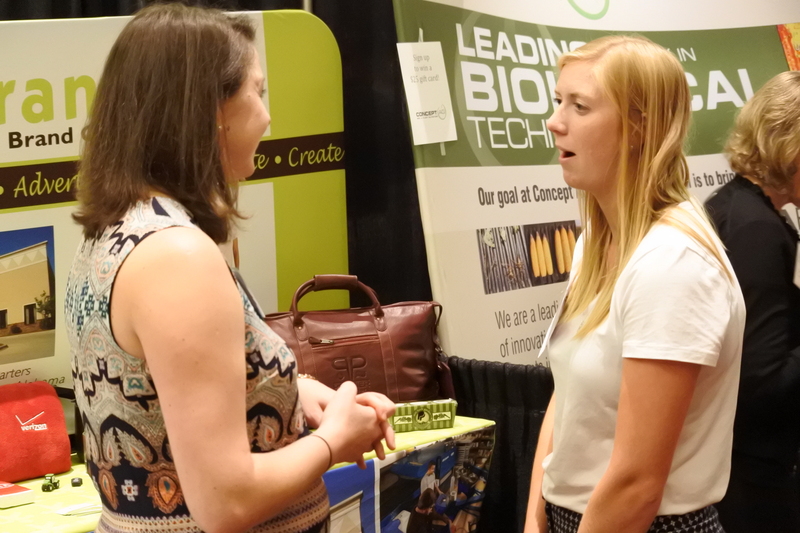 Agricultural communications junior Stephanie McMillan, right, attended the Ag Media Summit last summer.